Thank you for viewing my website. Helpful tips for Buyers! 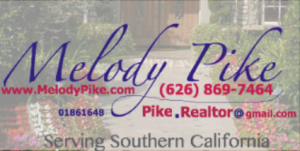 If you or someone you know buying or selling a house in SoCal contact Melody Pike.